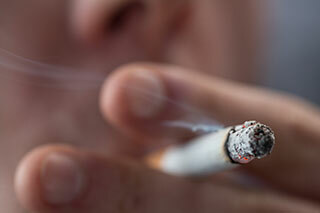 Study results showed that 51% of cancer cases had known cigarette-use data. The burden of tobacco-based cancers could be lessened using tobacco use data collected from cancer registries, a study published in Cancer has shown. Tobacco use is highly associated with cancer-related mortality, leading to worse outcomes among smokers with cancer. Data from cancer registries on tobacco use at diagnosis may assist in clarifying usage patterns and understanding how tobacco affects prognosis. Researchers analyzed the data of 1,646,505 patients with cancer diagnosed between 2011 and 2013 from 10 National Program of Cancer Registries in different states, which revealed the prevalence of smoked, other smoked, and smokeless tobacco usage among patients. Investigators then calculated the percentage of cases with known tobacco variable values, and assessed the associations between tobacco use, primary cancer site, and state. Results showed that 51% of cancer cases had known cigarette-use data, of which 51%, 31%, and 18% were never smokers, former smokers, and current smokers, respectively. The known status of non-cigarette tobacco products was 43%, of which 97% and 98% were never users of other smoked tobacco and smokeless tobacco, respectively. The percentage known of cigarette smoking status was the highest among patients with laryngeal, lung, tracheal, and bronchus cancers. The known status percentage for cigarette use varied state by state, ranging from 27% to 81%, but improved over time from 47% in 2011 to 59% in 2013 for all 10 sites combined.